So you’re thinking about investing in your bar, with one of the quickest value add strategies. Your bar supplies. Upgrading your bar supplies is one of the wisest decisions you can make as a bar owner, and if you choose correctly it may be a decision you don’t need to make again for a while. There is so much direct and indirect competition out there, and these quality decisions and tangible changes are another way to demonstrate to your customer base and competitors – we’re here to be the best. 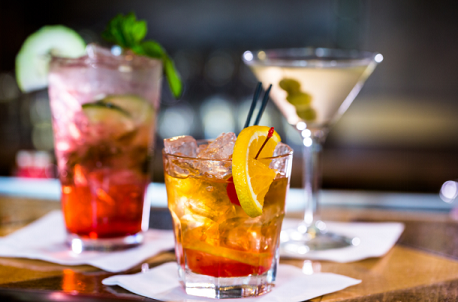 Follow this guide to acquiring better bar supplies, and start noticing the difference. When it comes to the matter of suppliers, the ultimate argument is always quality over price. In certain industries it’s good business to go with a cheaper model, but not in hospitality. Selecting bar supplies by Funktion Hospitality will give you an edge and set you apart from your run-of-the-mill competitors, who are likely working with the same inferior products. Your busy staff need to be working with trusted supplies from paper to glass to plastic. Choosing cheaper supplies will inevitably mean you have to replace them faster, and could incur a greater spend overall in the long run. The hospitality scene has changed over the years, placing more of a focus on local suppliers. This allows businesses to support on a local or national level, as opposed to exporting internationally. It also allows you, the bar owner, to be able to meet and discuss your needs with the local contact (and often designer) so that they can view and experience your business and make recommendations accordingly. You can always ask your local supplier which other bars use their product, that way you can see them in action and look at how other businesses have introduced them into their unique concept. It’s good practise to see what’s out there, and sample a few suppliers. That doesn’t mean you should blindly contact any and all suppliers, instead reach out to reputable suppliers and have them lend some samples for you and your team to use. Insert a couple of pieces into your circulation to see how they mesh with your customer base and staff. You will know pretty quickly if it is a yes or a no. We have all be burned by ordering something online, only to find that it barely resembles what we thought. Don’t take that risk with you bar. Ask your staff if they have worked with product that they thought worked well, and whether they can recommend any. We wouldn’t have favourite cafes, restaurants and bars if they were all the same, right? When you are upgrading your new bar supplies, think about the who, what and why of your business. How do you envisage your customers eating and drinking at your establishment, and with what supplies. Like all key business decisions, this should not sit solely on your shoulders, so ask the opinion of your most valuable stakeholders; your staff. They are frontline service and interacting with customers and using these supplies daily. This is where the real insights will come from, most of which is hard to decipher by just looking through a catalogue. Choosing to source better bar supplies is always a step in the right direction, and one that your customers and team will thank you for. Just as your barista needs good beans and your bar needs fresh ice – you need the best supplies that will present your food and beverage exactly as they are attended. Start your process with a fair amount of research, and make the key prerequisite quality over cost.